ChromoTek’s Marketing Manager Dr. Christoph Eckert has been interviewed by Biocompare, the buyers’ guide for life scientists, on labels for super resolution microscopy. 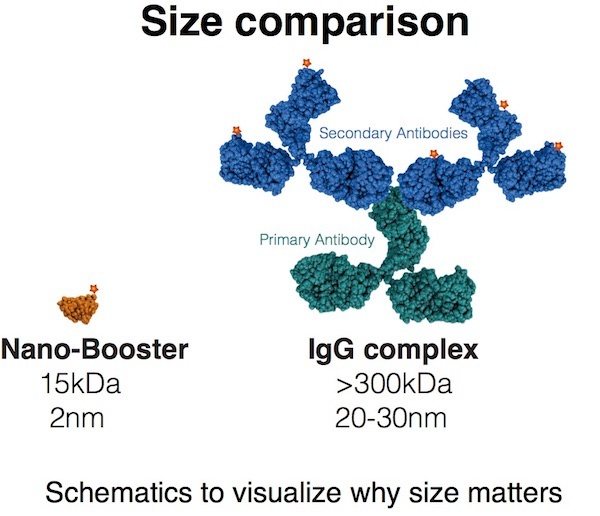 Immunoprecipitation (IP) followed by mass spectrometry (MS) analysis is a powerful method to identify interaction partners of a protein of interest. However, sometimes it can be difficult to obtain reliable results. 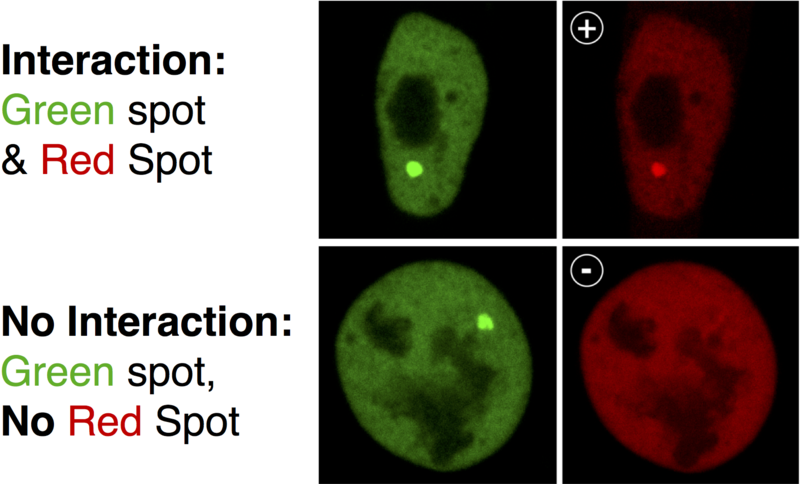 Now, the combined use of ChromoTek GFP-Trap for immunoprecipitation and PreOmics iST sample preparation kit is in fact a straight forward, reproducible, and reliable approach to identify protein interaction partners. It even preserves posttranslational modification (PTM) depending protein-protein interactions. 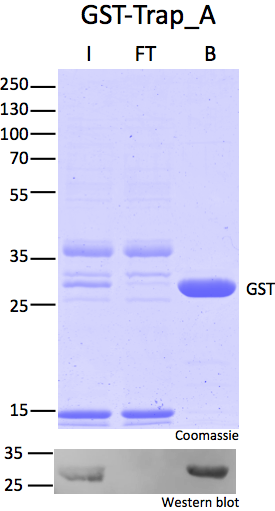 In a recent applications note we have demonstrated how protein interaction partners of PARP1 can be identified: We have immunoprecipitated eGFP-tagged PARP1 protein and its interacting partners using the GFP-Trap_M and subsequently processed the pulldown for MS analysis following the instructions of the iST kit. PARylation mediates the interaction of PARP1 to several DNA repair proteins. Our results show that those interactions are not disrupted by neither the IP nor the MS sample preparation used herein. Therefore, the streamlined combination of the GFP- Trap and the iST kit’s workflow proves to preserve PTM-mediated protein-protein interactions. The PreOmics iST kit can also be used with other ChromoTek Nano-Traps. Vimentin dynamics can be effectively visualized using the ChromoTek Vimentin-Chromobody, e.g. to monitor epithelial-mesenchymal transition (EMT). To learn more about this unique probe attend Julia Maier’s talk “Tracing EMT with fluorescent biosensors (Chromobodies) in living lung cancer cells” on April 3, 4:20 pm in Room 144, Level 1 at AACR 2017 in Washington, DC. 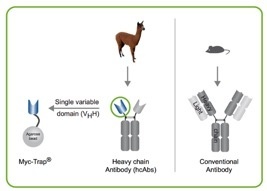 You obtain the most effective and cleanest IPs of your protein when using ChromoTek’s Nano-Traps (derived from alpaca single domain antibodies). You will see the best protein detetions in WB when applying our highly sensitive monoclonal antibodies. See the advantages of ChromoTek’s RFP-Trap in ChIP applications as demonstrated by Dr. Caroline Rivers, Laboratory for Integrative Neuroscience & Endocrinology, University of Bristol. In absence of suitable antibodies for an inducible hormone receptor, mCherry has been fused to the N-terminus of the receptor. 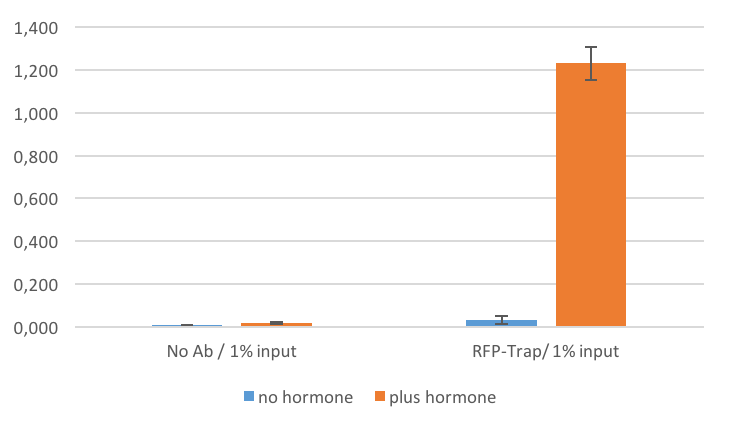 In order to effectively pull down the mCherry fusion protein DNA complex, ChromoTek's RFP-Trap was used.